The aim of the study was to investigate the ability of Zea mays L. roots to regulate the amount of free amino acids present in the rhizosphere. The active uptake of amino acids was shown to conform to Michaelis-Menten kinetics. 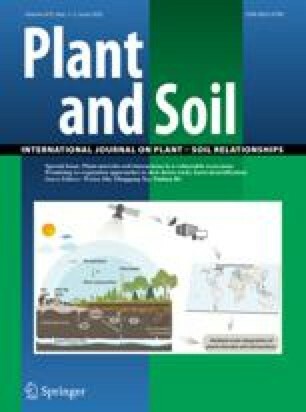 Comparison of amino acid-N and NO3-N kinetic parameters and soil solution concentrations showed that root uptake of free amino acids from soil may contribute significantly to a plant's N budget. The influx of amino acids also helps to minimize net C/N losses to the soil, and is therefore important in regulating the size of the rhizosphere microbial population. Experimental data and a computer simulation model of amino acid influx/efflux in a sterile solution culture, showed that roots were capable of re-sorping over 90% of the amino acids previously lost into solution as a result of passive diffusion.